• 1072 sqft , 2 bath , 5 bdrm 3-level split – FOR SALE CAD239,900 . 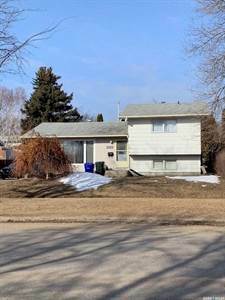 Great starter or family home in Crescent Heights 4 level-split with2 car garage. Home upgrades include windows, furnace and interior paint. 4 bedrooms- 2 baths, PLUS an upgraded kitchen with appliances.